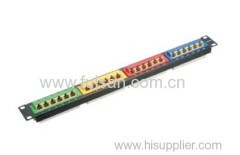 RJ45 AMP CAT6/Cat5e 12,16,18,24 48 Ports Patch Panel. 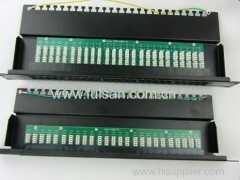 Meet TIA/EIA-568-A and TIA/EIA-568-B Category5e/cat6/cat6a requirements. Meet TIA/EIA-568-A and TIA/EIA-568-B Category 3 requirements. 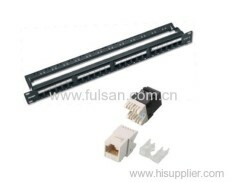 12/24 ports UTP Cat5e patch panel. 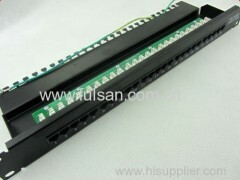 rj45 patch panel Cat6 Patch Panel with back bar 19'' 1U. Cat 5e/cat6 UTP patch panel 12/24ports dual Krone idc. 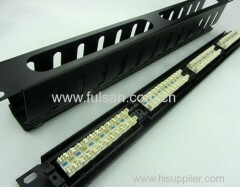 12/24 ports FTP Cat5e patch panel. Meet TIA/EIA-568-A Fluke testing pass. 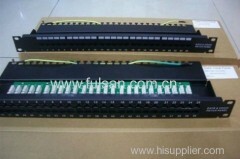 Group of Patch Panel has been presented above, want more	Patch Panel and 110/Krone/Dual cat3 cat5e cat6 cat6a patch panel, Please Contact Us.